The Schwinn AC Performance Plus is an extremely popular indoor cycling bike, closely mimicking an outdoor ride with smooth, quiet performance and minimal noise. For those looking for a club-quality bike for home use, this one is pretty hard to beat, especially with the Carbon Blue belt drive upgrade. The AC Performance bike features aluminum construction, a sleek white and grey color scheme with red accents, and a 6 magnet brake system for smooth, maintenance free resistance. 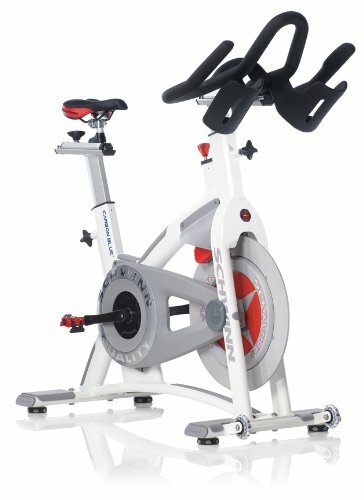 Check out this popular indoor cycling bike on sale now! The Schwinn Fitness AC Performance Plus has become one of the most popular indoor cycling bikes on the market today, with plenty of positive reviews, and for good reason. It is one of the few bikes to offer a true on-road feel, with smooth, quiet resistance, plenty of adjustability and maintenance-free operation, regardless of how hard or how often you train. Although it is available with a regular chain drive, the advanced model with the Carbon Blue belt drive is a huge improvement, further enhancing the riding experience. 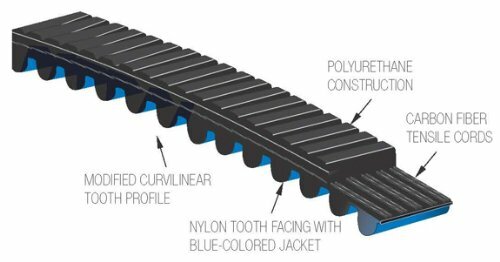 For those unfamiliar with Carbon Blue, it's kind of a combination of a belt and a chain, with the best features of both. The drive is made of polyurethane with a carbon fiber core and nylon teeth. So it offers you the performance and durability that a belt drive offers, and the on-road feel of a chain drive, without the typical maintenance required. 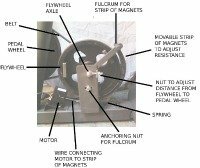 With Virtual Contact Resistance, the 6 magnet brake system does not actually touch the flywheel, and this eliminates wear and friction. You have the option of 12 different incline positions as well, so you can really change things up from one ride to the next. The frame on the AC Performance Plus is made of a lightweight anti-corrosive aluminum, and the bike is highly adjustable to accommodate users from 4' 11" all the way up to 6' 8". The maximum user weight is 350 lbs. Most reviews mention the fact that the ergonomic handlebars are some of the most comfortable they've ever used, with plenty of options for hand positioning. The AC Performance Plus goes head to head with Star Trac, LifeCycle and the popular Keiser M3, and each has its advantages and disadvantages. Many riders prefer the Schwinn bike due to its unique Carbon Blue drive system that the others do not offer. So the ride is smooth and quiet, offers a real on-road feel, the bike is highly adjustable to fit everyone, the pedals are interchangeable...are there any downsides to this bike? Well, everything has a downside to some degree, and here it is the lack of a console on the bike. it would have been nice if it was included...but you can get one for relatively cheap so it's not a huge issue. You can opt for the basic Cadence Pro console for about $180, the MPower Echelon2 console for about $249, or the Echelon2 with power upgrade for about $499. 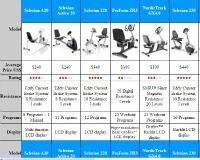 The basic console is fine for most users, but if you want to track your workouts a little closer then opt for one of the upgrades. You can also use your tablet and download Peloton workouts and similar programs to keep yourself motivated to reach your fitness goals. Other than the lack of console, the Schwinn AC Performance Plus ticks all the boxes, with everything you could ask for in a commercial-grade indoor cycling bike. We like the Schwinn AC Performance Plus, especially with the Carbon Blue belt drive. It is as close as you can get to that on-road feel, and it is much quieter than other indoor cycling bikes on the market, especially those with a chain drive system. You can do just about any fine tuning you'd like, from the handlebars to the saddle to the pedals, so any member of your family can ride it in total comfort. Take a look at this bike today and see if it's the right choice for you.